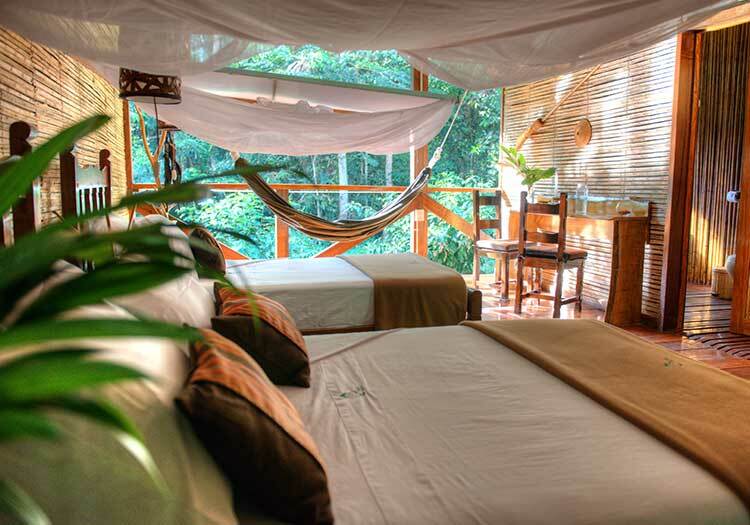 The Tambopata Research Center is both a genuine biological research station and comfortable guest lodge. 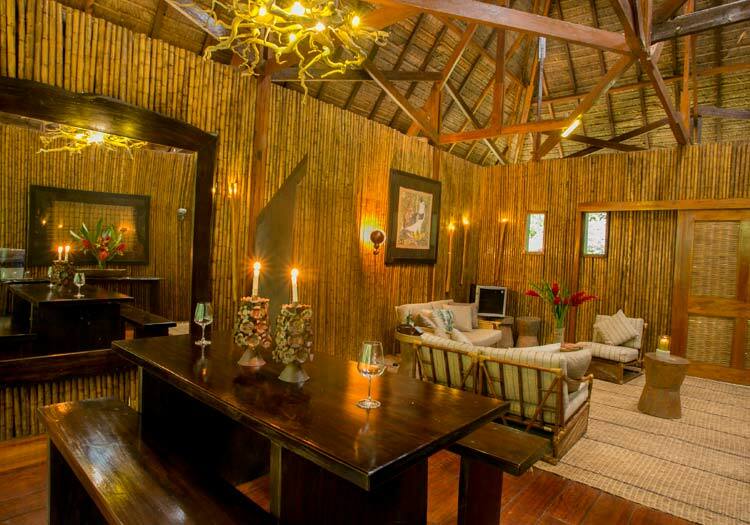 The lodge’s remote location makes it the very best lodge in all of Tambopata for the opportunity to glimpse rare wildlife and learn about recent biological jungle studies! For those discerning adventurers hoping to maximize their opportunities to see rare wildlife and experience the truly pristine Amazon rainforest, a visit to the remote Tambopata Research Center by Rainforest Expeditions is definitely a must. 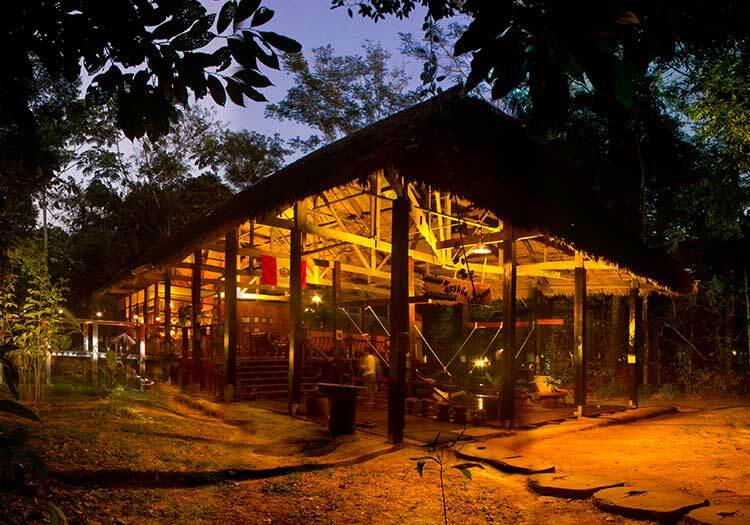 After flying to Puerto Maldonado, start your lodge journey via boat along the Tambopata River, and spend your first night at the sister mid-way lodge, Refugio Amazonas. Bright and early the following day, you’ll boat to the Tambopata Research Center and immediately immerse yourself in the jungle life. Take your meals with international researchers working at the research center, and take pleasure in knowing that extremely rare wildlife, such as jaguars, are right outside your front door! However, it still remains to be seen if that rare wildlife you’ve been hoping to glimpse actually appears or not, and only a visit to the Tambopata Research Center will allow you find out!